EDIT: The title of this blog is inspired (AKA ripped off) from a post on Melissa’s instagram. Follow her if you don’t already – Link! – expect many make up posts and general inspirational lifestyle imagery that will make you want to grow your hair long, wear jeans all the time and buy many more lipsticks. So here’s a weird thing. I don’t really like reading reviews until AFTER trying/buying a foundation. It’s all very backwards. I use it and only then start the process of fastidiously researching other people’s reviews of it once my opinion has been firmly formed. I appreciate that I am probably in the minority here and that most sensible people like to do a perusal of blogs to see what the general consensus is on a product as fundamental as a foundation. So with all that said in an unnecessarily long introduction after trying three new foundations recently I thought I would put my thoughts down. I had heard mutterings about this foundation and saw some fleeting promotions of it within a Pixiwoo video. They always have such flawless skin and that instilled some serious confidence. This product also has the most promising of names – Perfectionist for God’s sake – so I assumed that it would be one of those OMG-Holy-Grail-You-Guys products. I was wrong. Now I am not saying that this is bad. The full spectrum sunscreen is very welcome. The finish is demi-matte but light, ensuring that skin doesn’t look heavy or caked in product. The coverage is probably erring on the side of medium and the longevity is arguably the best out of the three that I will mention here, perhaps down to the fact that it’s totally oil-free. Despite ALL of this, for me it just doesn’t hit the mark. This is wholly down to my bias preferences. Demi-matte I don’t mind as long as it gives me perfect looking skin and with this I still feel like I can see my “imperfections”. It’s probably buildable but I just cannot get past that pungent chemical smell to try it out and I feel like this is a teeny bit drying on me. I wanted to LOVE this but I just can’t say that I do yet. 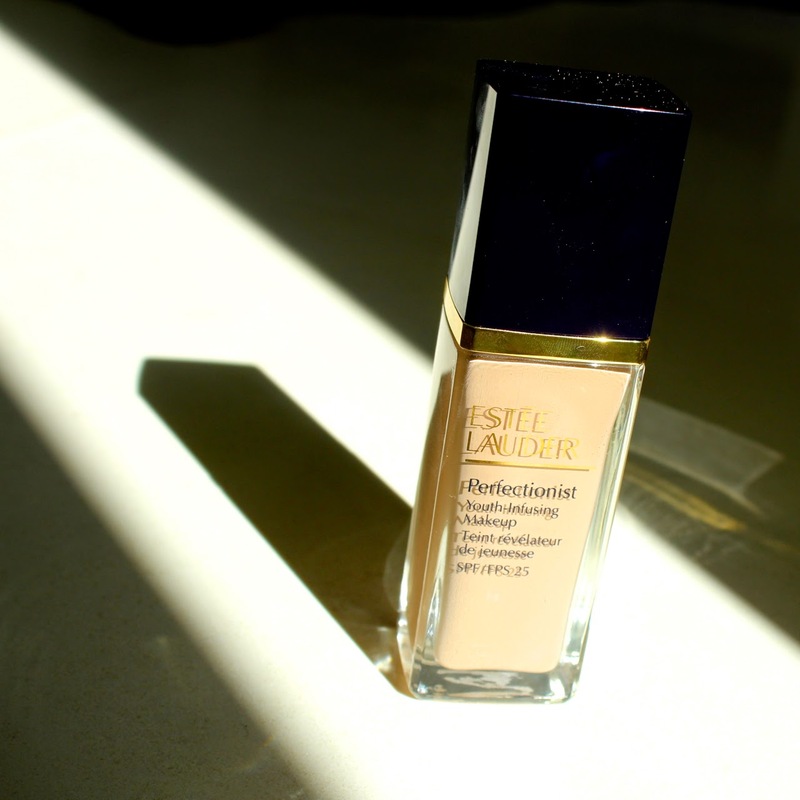 Show me the Estee Lauder BB Double Wear All Day Glow though and it’s a different story. Now THAT is a product I can get on board with. Everything about this foundation is lovely so it's no wonder Clarins re-formulated it and revived it earlier this year. The word that best encapsulates how I react to it is “fresh”. The smell is that delicate fresh floral and the final effect on the skin is covered, but youthful, natural and maybe a teeny bit illuminated. It’s just one of those foundations that complements skins very well. I was sent Porcelain, which is, in truth, too pink and too light. BUT I would absolutely go to a counter and hunt out a colour match because this is such a forgiving foundation. It is also one that has managed to achieve a balance similar to what we see in Dior Star – it’s a glow giver (not a grease giver), a product that feels lightweight on the skin but also, and importantly for me, still gives you a medium coverage. 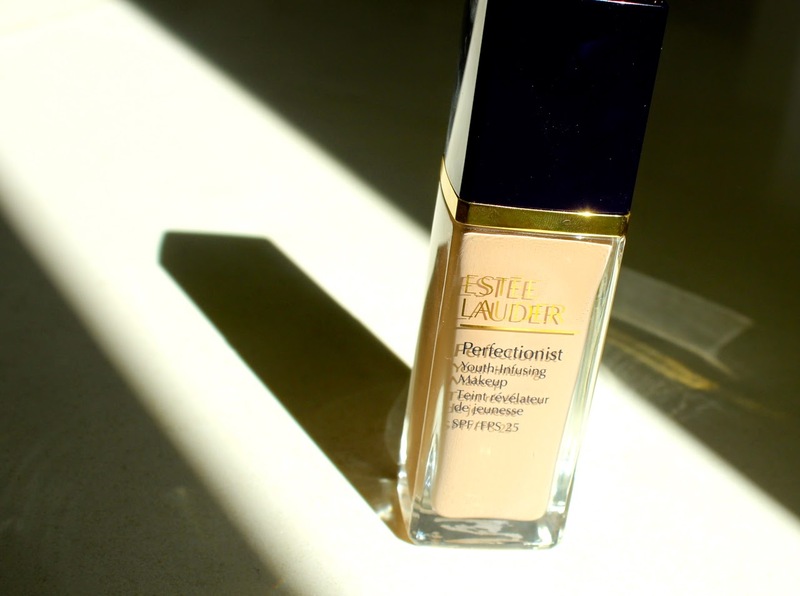 What it isn’t is one of those foundations like Laura Mercier Silk Crème that will give you plastic perfection. It’s just not that heavy and that’s okay. There are days when I want to paint on a mask and days when I want to boost what I have without caking it up. If you have dehydrated or mature skin then give this a look. If you are, by your own admission, mega oily then consider moving on because I am not sure this foundation would stay on your skin long enough for you to enjoy it. I think this is a case of saving the best for last. Now I have alluded to how I feel about this foundation before but I have also received many requests to give a proper review to Dior Star. So here it is. This is a lovely foundation. I picked this up in shade 33, which was an ambitious attempt to convince myself that my post-Maldivian holiday tan would last. It has not and so I haven’t worn this for a few weeks because if I did I would look proper orange. This is a magic glow-giver that manages to also stand the test of a long day. Apply this in the morning – and for that you have to go with a flat-topped kabuki to truly get the best effect – and remnants of it will be adhered to your face at 5pm. Now it’s not going to be perfectly in tact but I don’t find myself looking in the mirror with fright. The finish is something I have described before: “Make Up For Ever HD made glossy”. It’s that fresh, natural skin look with an added oomph that makes you look "well". As with the Clarins True Radiance, this is more on the lighter side of medium coverage so if you have major pigmentation or skin issues then you may try this and be seriously dismayed. If however, you are desperately trying to cling onto your youthful skin like I am, you will be all over it like a tramp on chips! I didn't really like perfectionist. It didn't work for my dehydrated skin, I found it drying and difficult to apply. The positive is the staying power, that is as impressive as double wear I'd say. I purchased Dior star last week and so far love it. My redness and blemishes are under control at the moment and so this works well, I hope that it does a good a job on a bad skin day. Now to decide, do I 'need' true radiance? I am afraud I can not justify following Melissas Instagram account. Following you always makes me want to dye my hair, wear heels all the time and buy more lipsticks. Back to topic: I have tried neither one, but have the Dior on my to-try list. Okay you have made me decide I need that Dior Star Foundation. Like, need...well not need but yah know. It's been on my wish list for a while now, and I think I'm going to make the plunge. I'm with you on reading reviews after buying the product and forming an opinion; I'm glad I'm not alone! The only high end foundation I've ever gone near is MAC Studio Fix Fluid as I really don't know where to start with them. 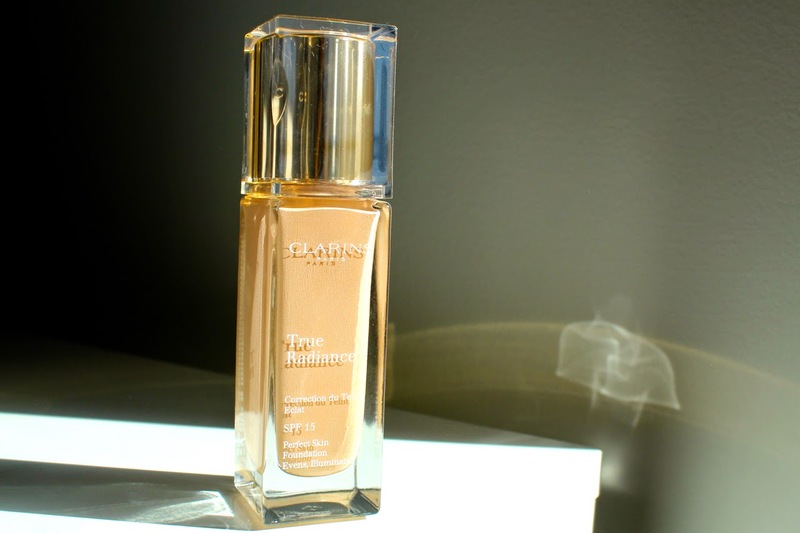 I'm now a little intrigued by Clarins True Radiance but, as my skin can get quite oily, I'm going to have a major debate on whether to purchase it or not. Thank you for the in-depth review. 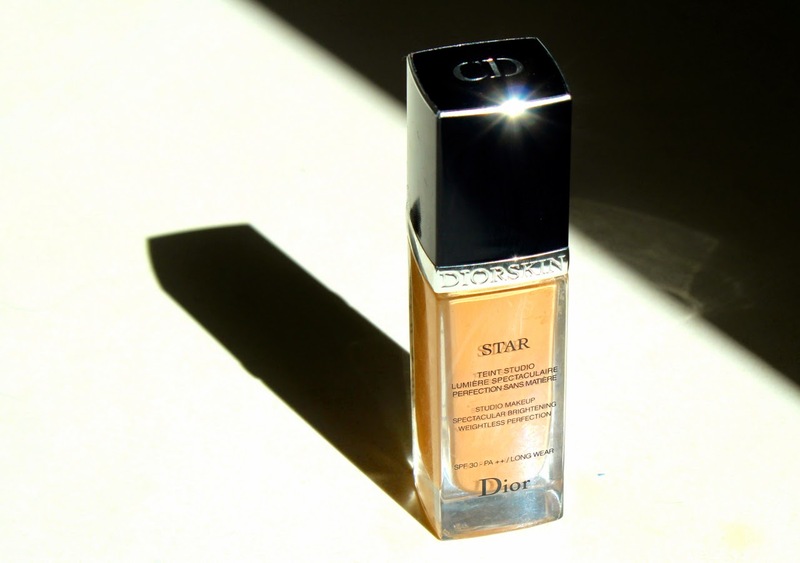 I've tried DIor's older foundations, and I think I might give Dior Star a try! It's good to know that it isn't too heavy. I haven't tried any of these foundations, but was most curious about the EL Perfectionist since I really like their double wear and double wear light. Right now I'm rather happy with my Makeup Forever HD .. so not really shopping foundation. So glad you did the Diorskin foundation review. It's definitely on my list to buy now I've read this, just need to find the time to go for a colour match! Thanks Laura! I'm sticking to double wear. Perfectionist didn't cover didn't last and felt greasy on me. Today is my first day with Dior star foundation. Liking it so far, colour is nice. But the Sales assistant in Boots packing it on last night. My skin is on the dry side at the moment. Its very light foundation. Was v tempted to try Perfectionist, some good reviews but the Dior seems to be winning out. How would you compare Clarins true radiance to extra-comfort? I am debating between the two. Thank you! هذه الطريقة لن تقتل فقط النمل الأبيض الموجود بالفعل في منزلك ، لكنها طريقة وقائية جيدة أيضًا. الفكرة وراء حاجز النمل الأبيض السائل هي أن تحيط منزلك بالكامل في حاجز مبيدات الآفات الذي سيسم النمل الأبيض عند الاتصال. بينما يتم استخدامه بشكل شائع في جميع أنحاء المنزل بالكامل ، إلا أنه يمكن استخدامه أيضًا حول هياكل خشبية محددة أو أكوام خشبية أو جذوع الأشجار.